Plant based diets are increasing in popularity due to their amazing results and the good they do the body. 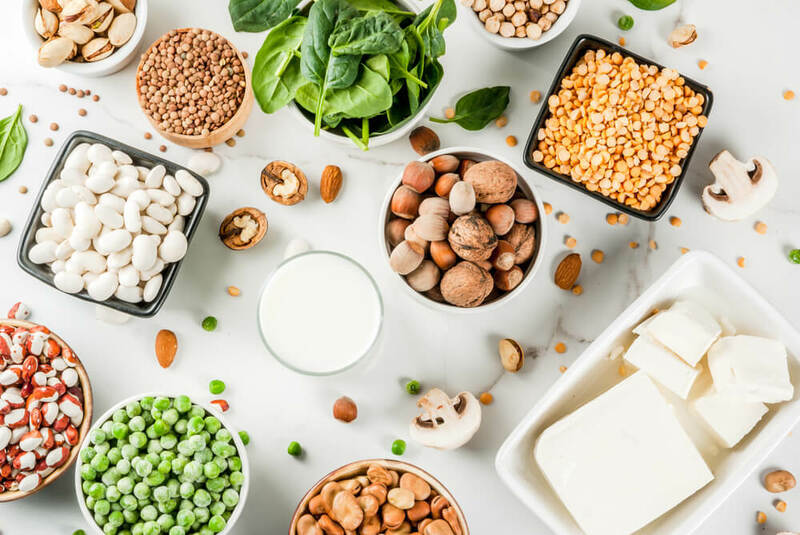 Many studies have shown the results of eating a vegan, plant based diet leading to both weight loss and an improvement in insulin sensitivity. The best part of a vegan diabetes meal plan is that you are able to fill your body with many natural nutrients such as vegetables, nuts, fruit, beans and seeds. Wan’t more recipes for healthy eating? Click here! Vegan diets for diabetics helps control type 2 diabetes due to the overwhelming amount of non-starchy vegetables as well as other foods such as fruit and beans. These types of foods are great for blood sugar levels because they are low on the glycemic index which means your blood sugar levels won’t shoot up when you eat them. A plant based vegan diabetes meal is also extremely beneficial to gut health forming barriers in the intestine making it more difficult for glucose to get into the blood. Eating lots of green vegetables can help blood sugar levels, help you lose weight and help maintain a healthy gut. Here’s we’re going to give you some vegan diabetes recipes that are not only delicious but also easy to make. Making major changes in your diet, such as beginning a vegan diabetes meal plan can be tricky. Make sure to speak with your doctor, dietitian or medial professional before making major alterations to your diet to make sure that your decisions are right for your body. On the other hand making changes like becoming a vegan can be challenging and don’t feel like you have to become a full blown vegan overnight. Start out eating vegetarian and playing around with recipes. Once you find out the types of meals you enjoy making and flavors you lean towards you can start eating more plant based products and work yourself through various vegan diabetes recipes. Here we have found some delicious vegan diabetes recipes from Vegan.io. Think about what you can make in the oven. Mix everything together in a bowl and toss it with the ingredients above. As stated, this is great if it has been marinated for a day, allowing the vegetables to really absorb the other flavors. Heat the oven to 450 degrees and spread the vegetable mixture in a single layer on a baking sheet. Bake for 15 to 20 minutes or until tender and starting to brown. Soak the cashews in water for at least four hours prior to making this recipe. Blend almond milk, cashews, garlic, olive oil, yeast, lemon juice, salt and pepper together until smooth. This will be your vegan Alfredo sauce. Heat a pan with a splash of olive oil and a bit of garlic. Sautee your zucchini noodles for a few minutes, do not let them get too soft. Heat your Alfredo sauce in a sauce pan and serve over your bed of zucchini. You will find the more you search on the internet how easy it is to eat either vegetarian or vegan and make it taste like non vegetarian or vegan foods. Experimenting is the key to help you find your fit.